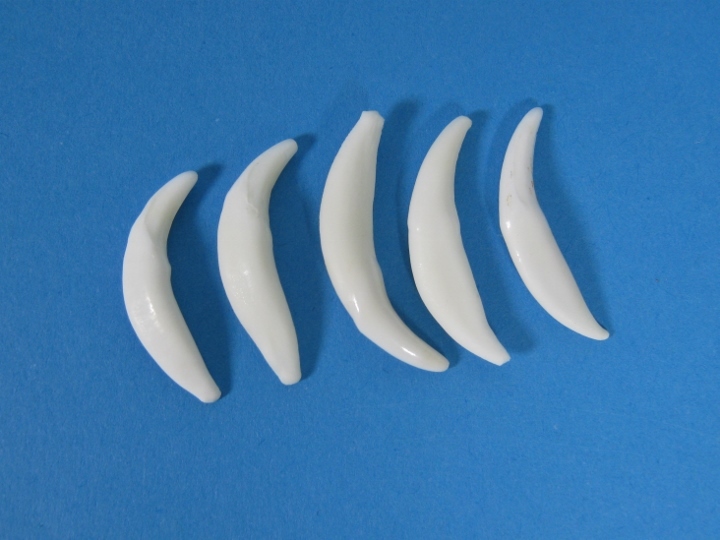 Please note: We store animal teeth in mineral oil to reduce the chance of cracking. All teeth may crack with the passage of time, especially if stored or used in a dry climate. To reduce the chance of cracking, apply a light coating of mineral oil to the tooth as needed. We cannot ensure that a tooth will not crack with time.